Barcelona striker Paco Alcacer says he is relishing playing in front of Borussia's Dortmund "magical" iconic south stand after agreeing to a loan deal with the Bundesliga side on Tuesday. The 24-year-old Spain international signed a one-year deal, costing a reported 2.2 million euros ($2.6m), with an option to buy of 25 million euros if he meets Dortmund's need for a regular goal-scorer. "I'm really looking forward to playing in the Bundesliga soon," said Alcacer in a statement. "This is one of the best leagues in the world and Borussia Dortmund, with these incredible fans and the famous south stand, is something magical for every footballer." The right-footed centre forward joined Barcelona for 30 million euros to much fanfare in 2016 after scoring 43 goals for Valencia with 17 assists in 124 matches. However, he failed to force his way into Barcelona's starting eleven with Luis Suarez and Lionel Messi ahead of him, but still managed 15 goals in 50 games with eight assists. "We are very happy that Paco Alcacer has decided to join Borussia Dortmund and we firmly believe that he will fit well into our style of play," said Dortmund director Michael Zorc. 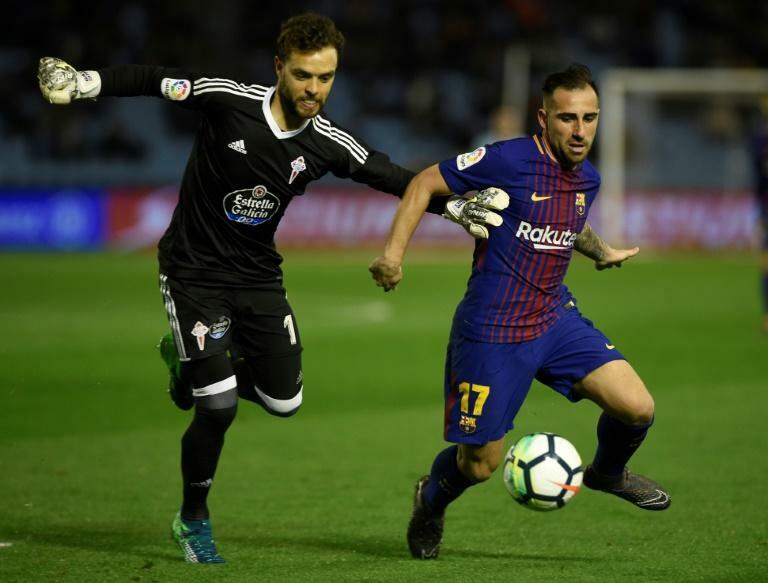 "Paco proved his quality at an early age with Valencia, scored many goals and, as a 22-year-old, experienced special appreciation by being made the club captain. "In Barcelona, ​​he worked daily with some of the best players in the world. "It is due to the extreme competition in the club's attack that he has now decided to take a fresh start with us after two years (in Barcelona)." Alcacer fills Dortmund's need for a striker since burly Belgian Michy Batshuayi returned to Chelsea, and was then loaned to Valencia, after a five-month stay with Dortmund last season. Dortmund are at Hanover 96 on Friday after opening their 2018/19 Bundesliga campaign under new head coach Lucien Favre with a 4-1 thumping of RB Leipzig last Sunday. Alcacer's first home game, in front of the south stand which holds 25,000 home fans, is expected to be on September 14 against Eintracht Frankfurt.